On my last day in Vang Vieng, I got up early and went to the morning market to buy 18 KG of the famous Vang Vieng oranges to take back to Vientiane. I have asked my aunts what they wanted for me to bring back and all of them said “oranges” and I didn’t want to go back with no gift for them. I enjoyed having fresh squeezed orange juice with my breakfast during my stay in Vang Vieng and wish I would be able to do that over here. 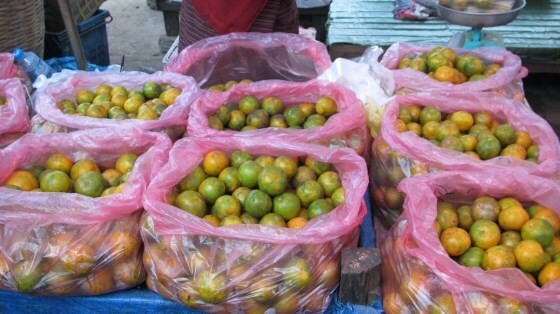 If only Lao orange growers could export this delicious fruit to the US and Europe.